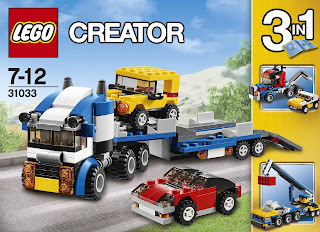 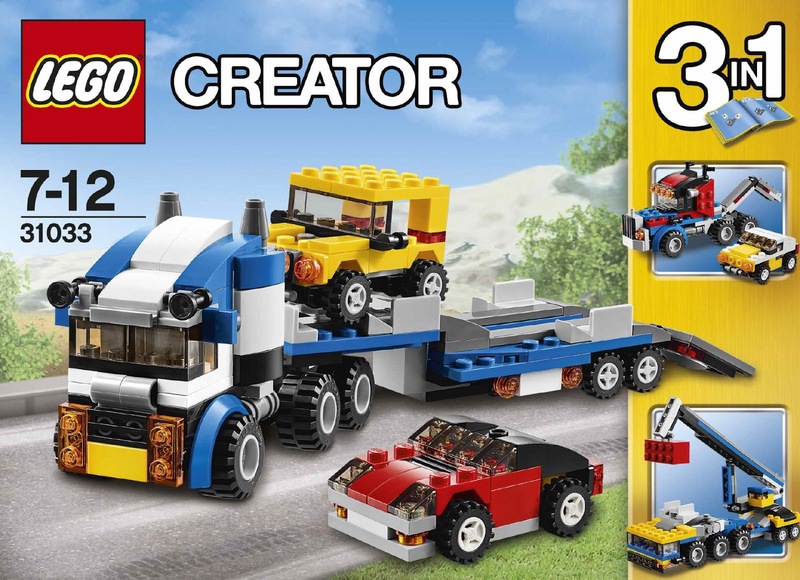 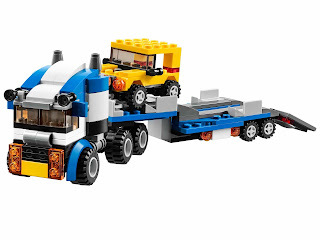 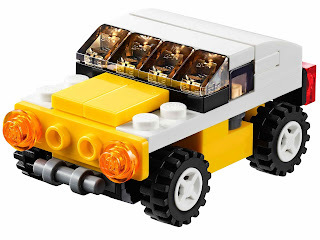 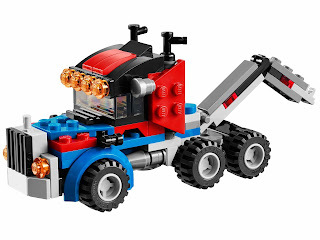 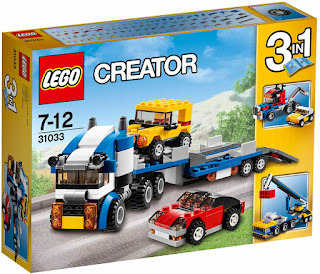 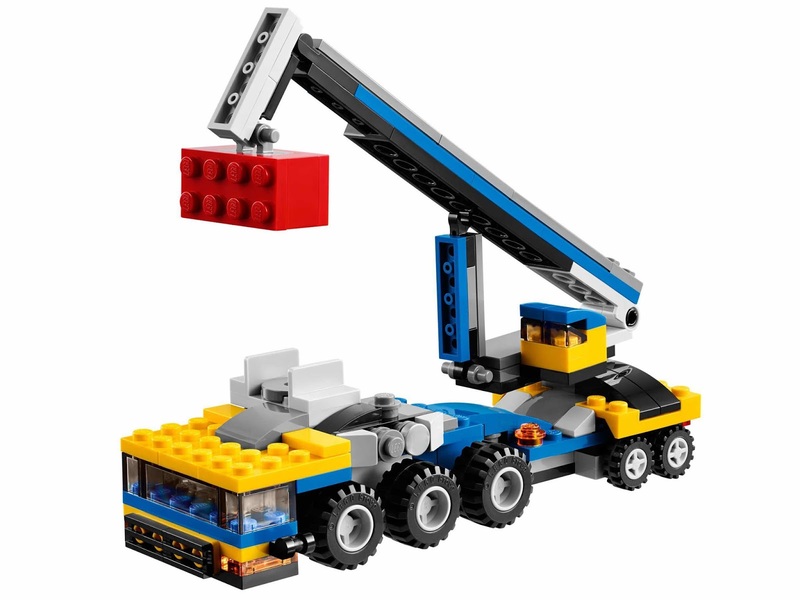 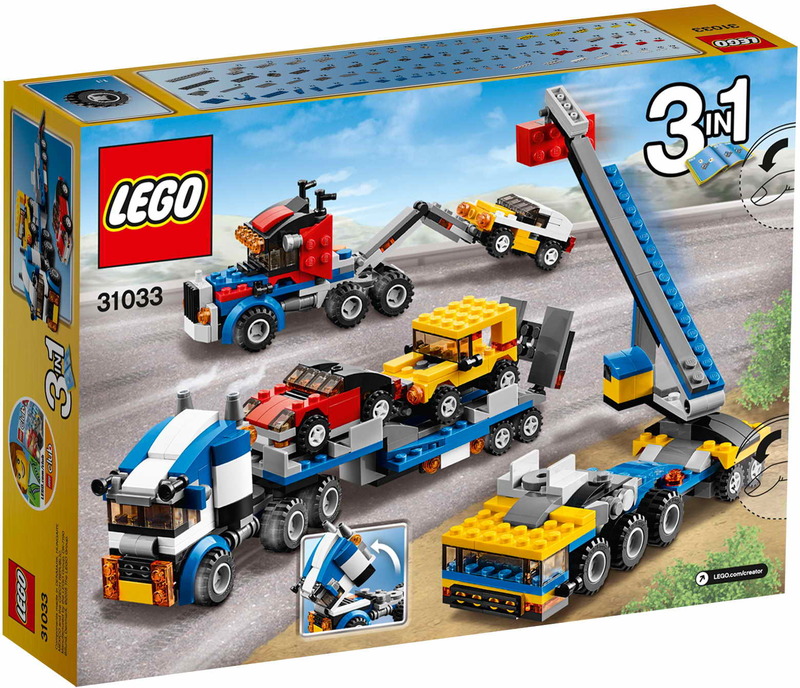 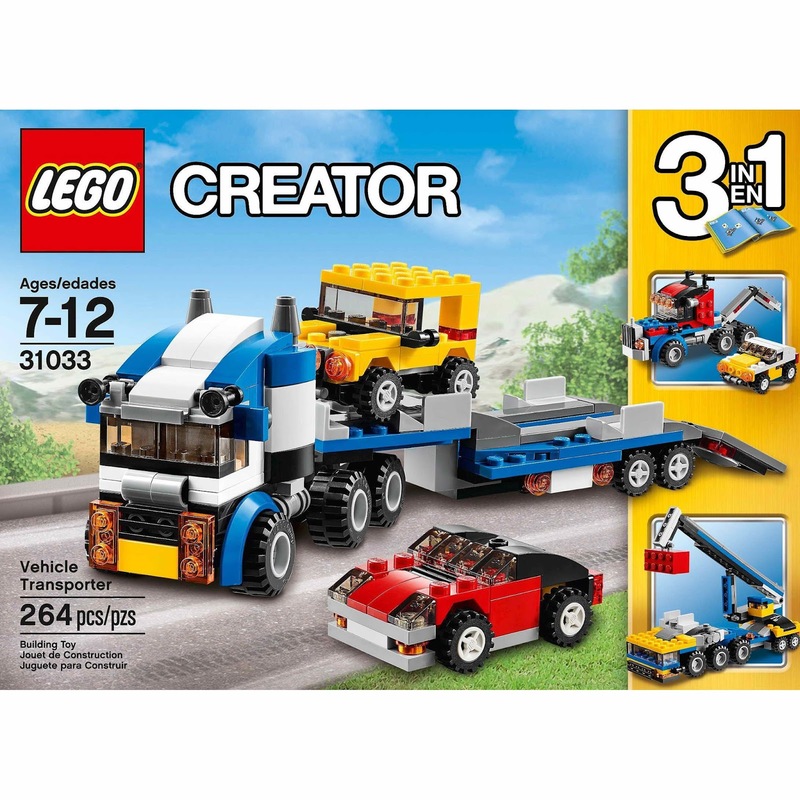 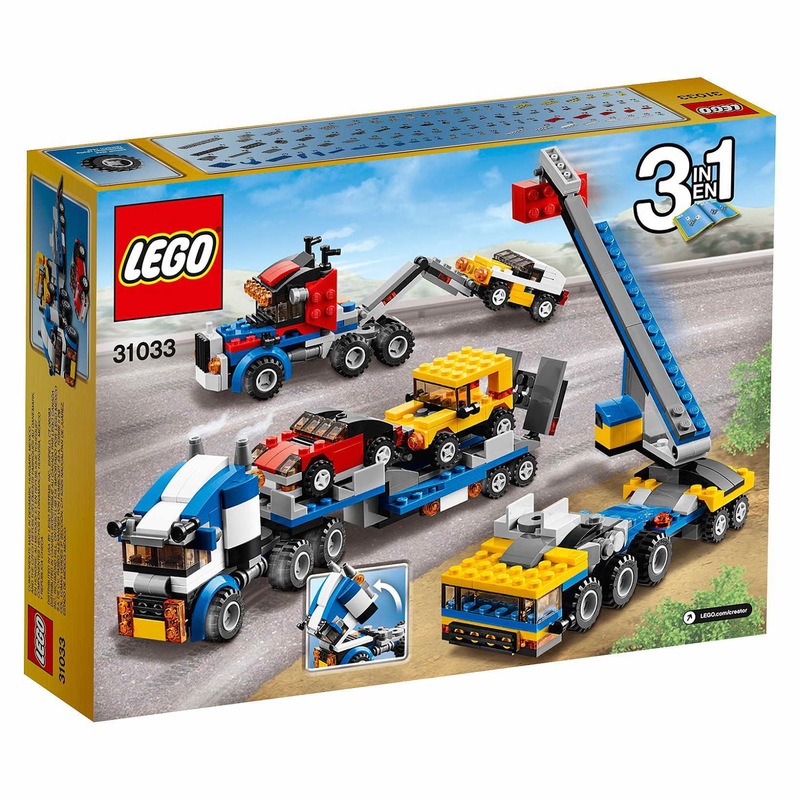 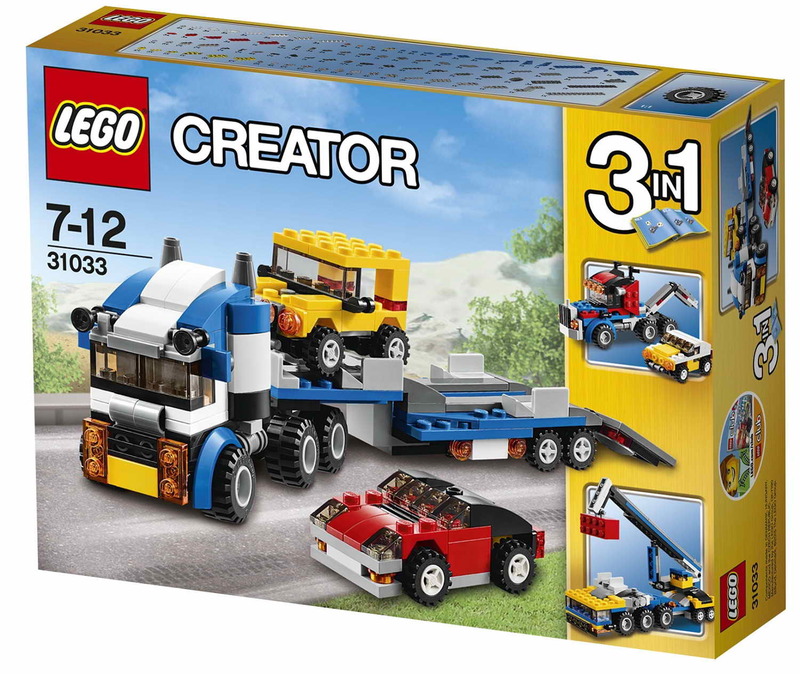 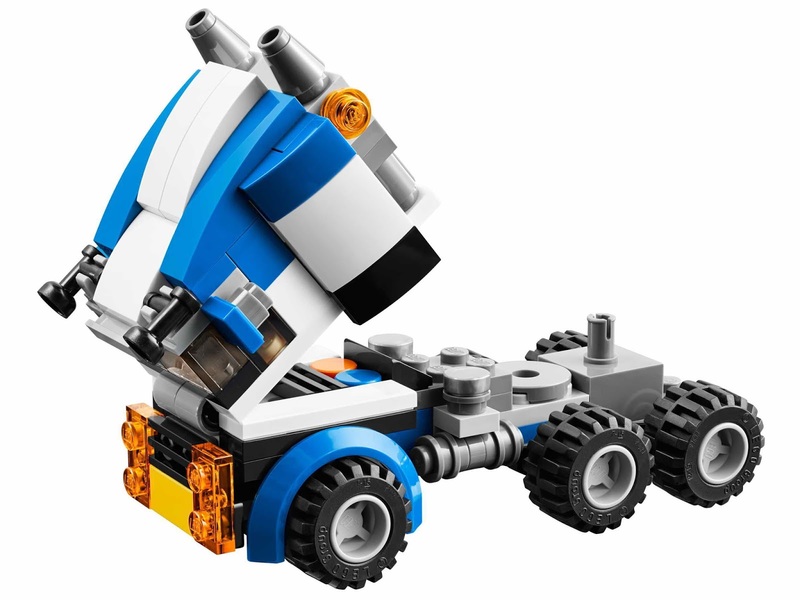 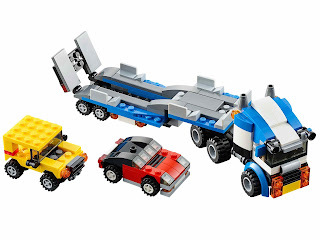 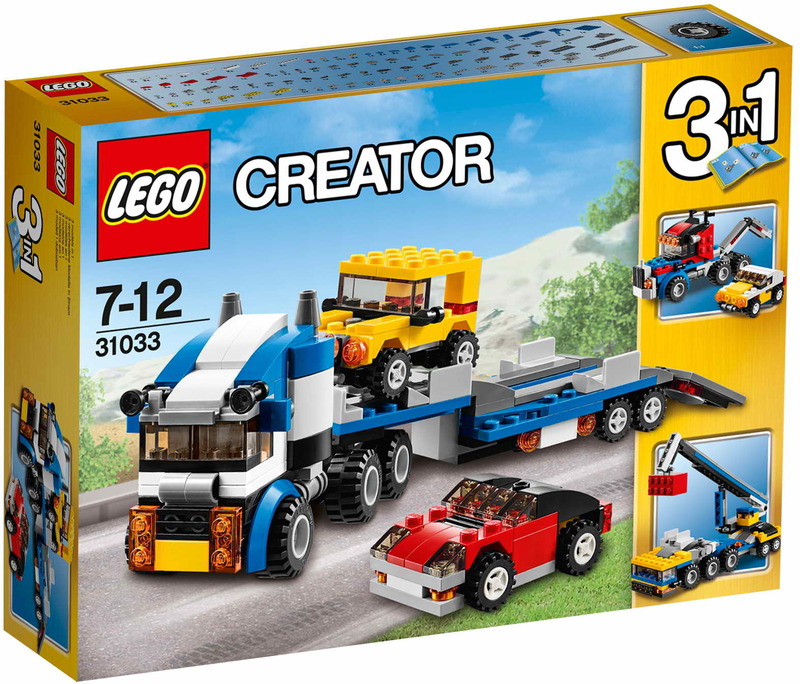 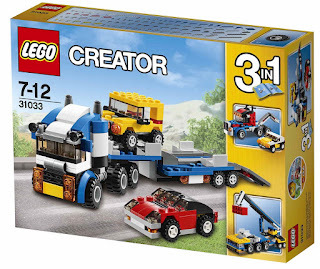 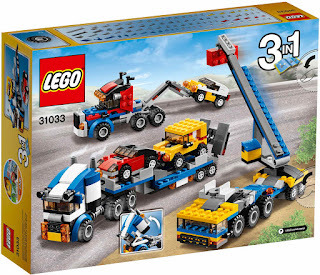 can be built into a vehicle transporter, a tow truck towing a yellow car and a mobile crane. 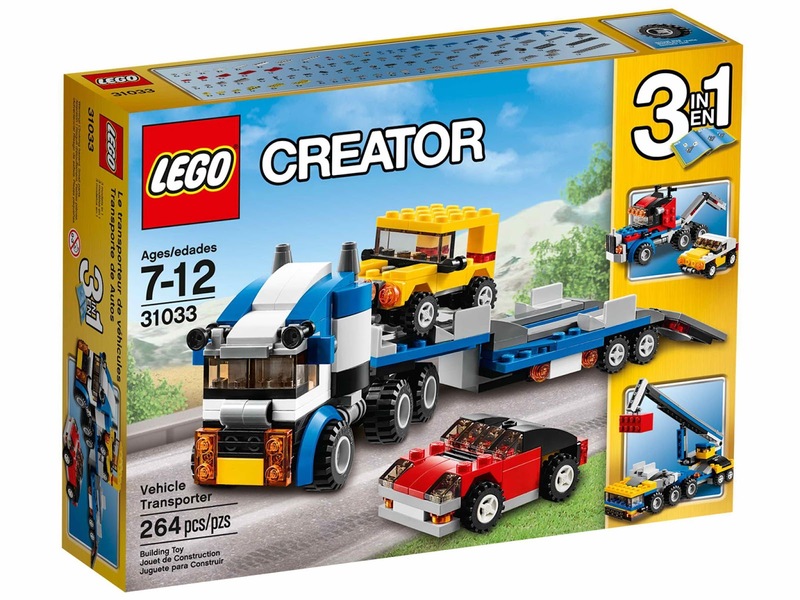 the transporter has a tiltable cab that reveals a detailed engine, a foldable trailer ramp for easy vehicle access, big exhaust stacks, warning beacons and roof spotlights. 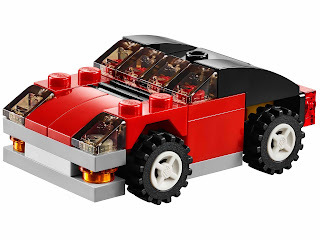 also included an offroader and a sports car. 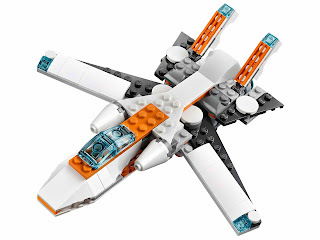 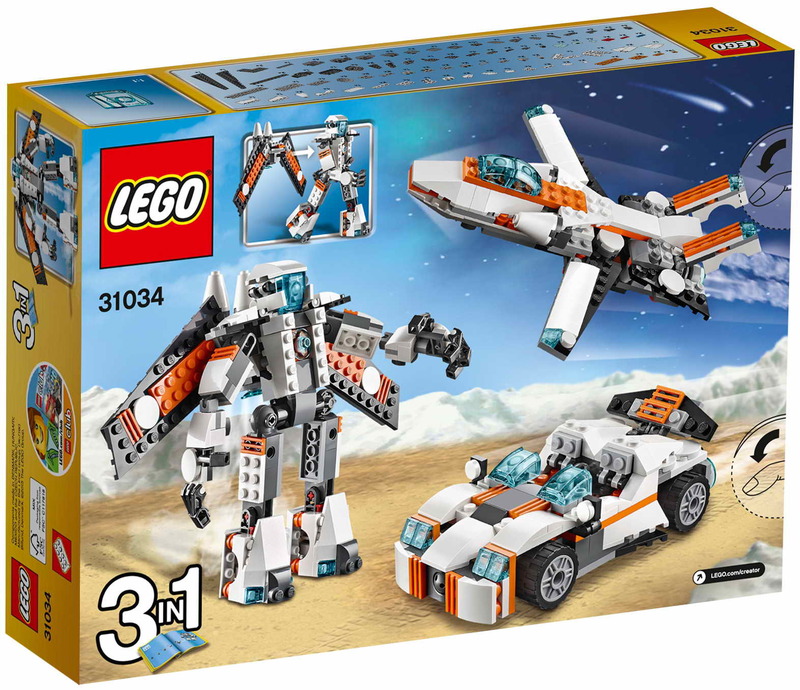 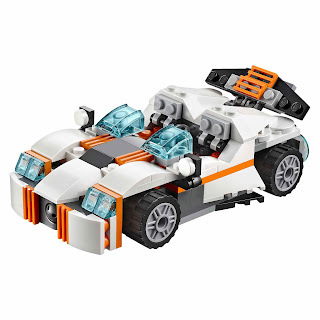 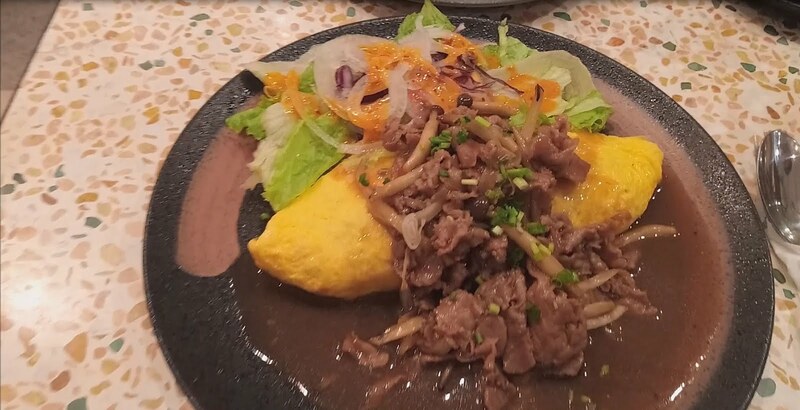 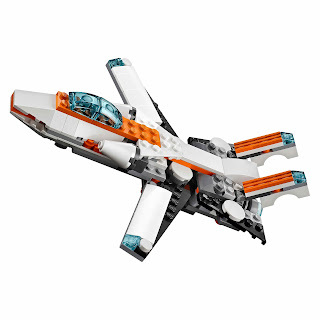 can be built into a futuristic robot, a futuristic jet with forward sweeping wings and a futuristic sports car with spoiler. 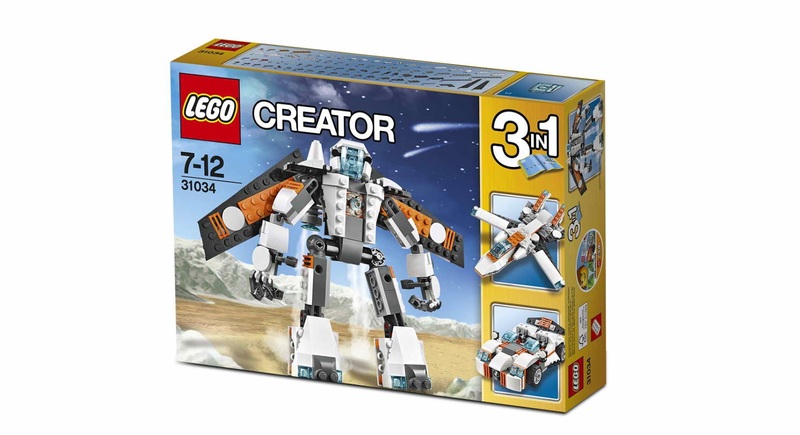 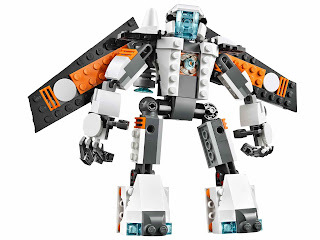 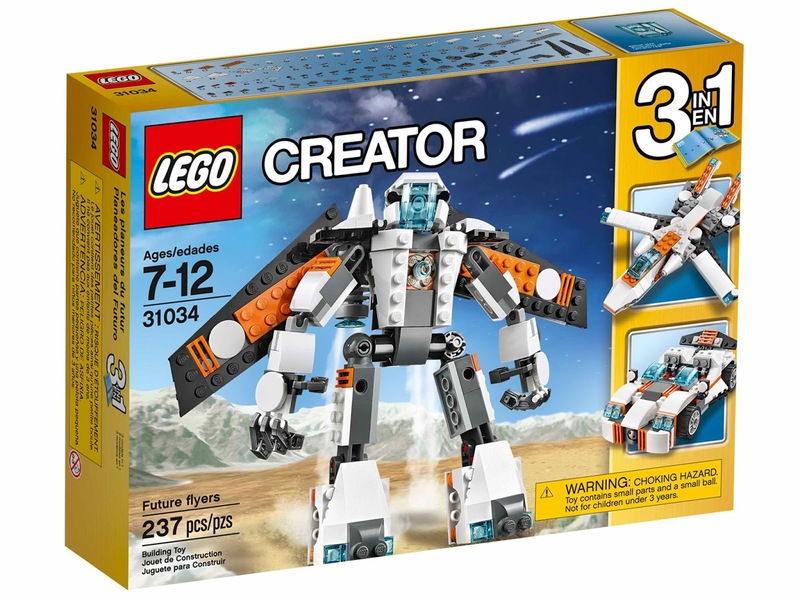 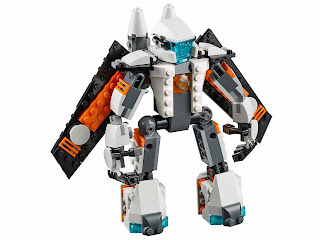 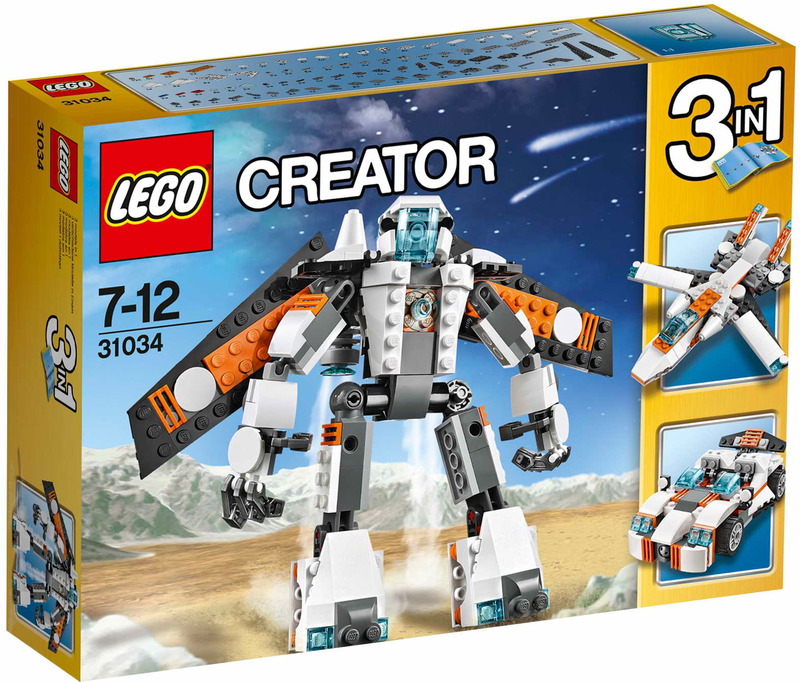 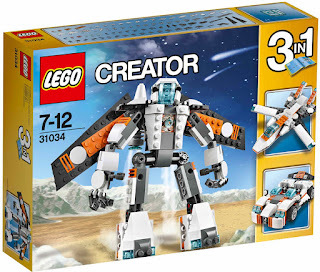 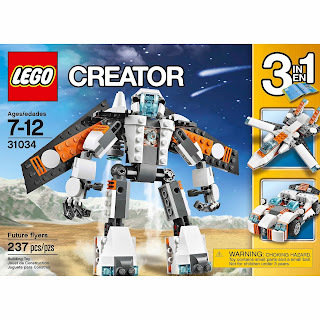 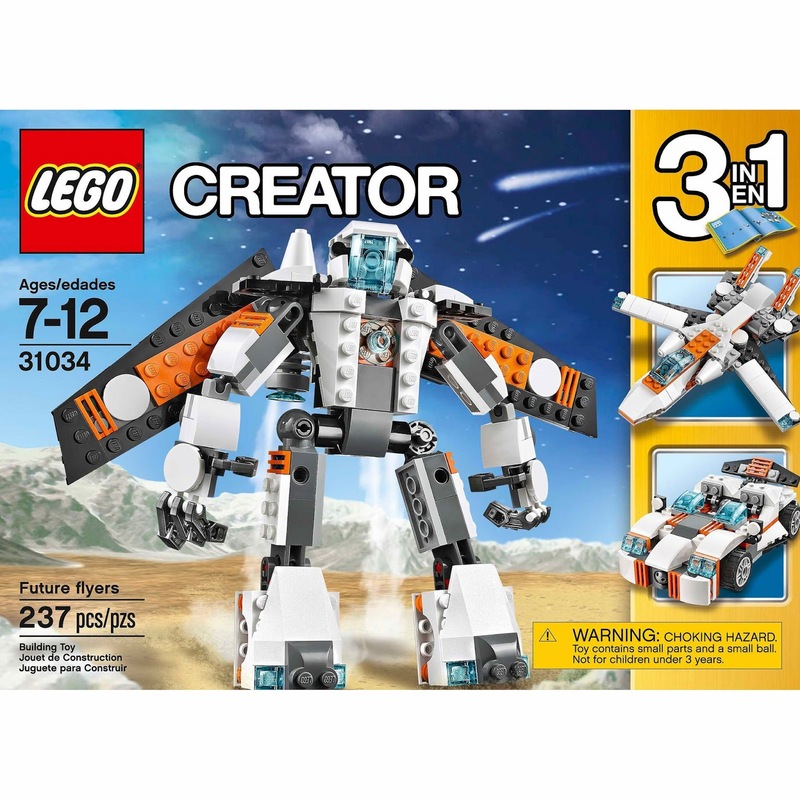 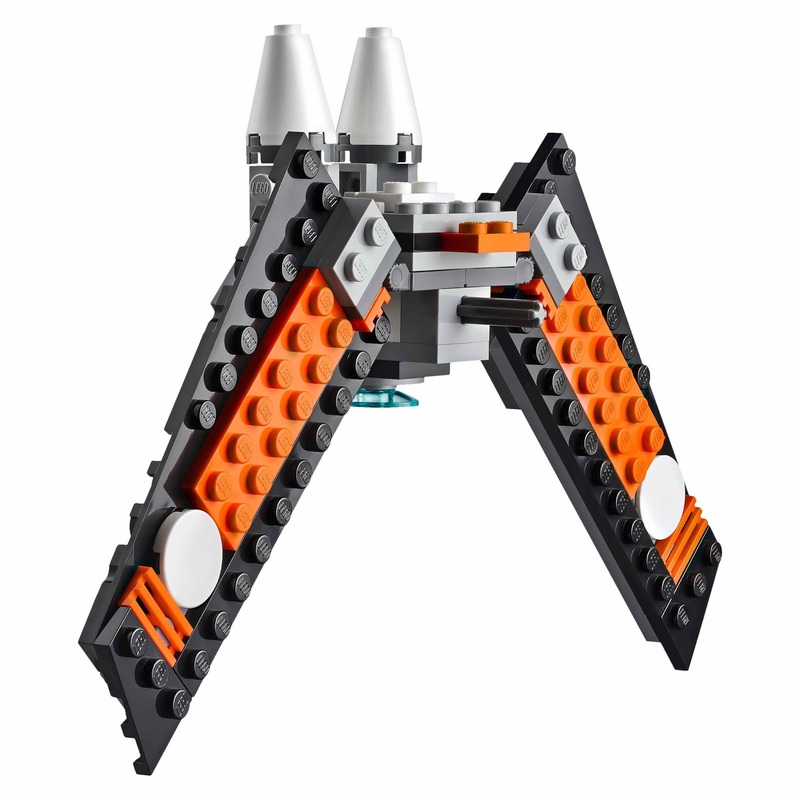 the robot has a big movable head with big single piercing blue eye, a removable backpack with foldable wings and removable rocket boosters, heavy robo feet with built in rocket boosters, dark metallic fingers and armored shoulder pads.